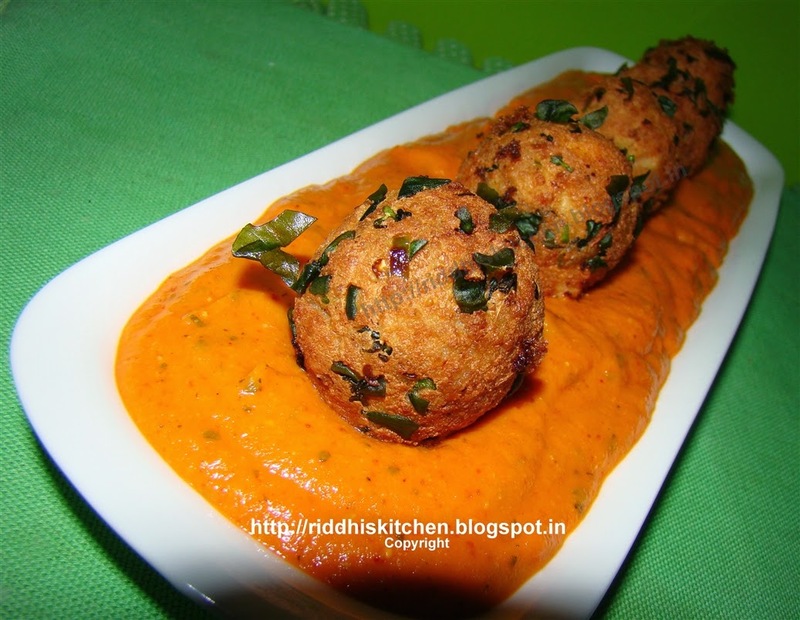 Mix all the ingredients well, shape them into small kofta, deep fry till golden brown. Take one pan and heat 1 tablespoon oil and add tomatoes paste. Add Red chilli powder, garam masala, salt. Saute for 2 to 3 minute. Add cream and cook for 2 minutes. Pour the makhani gravy into serving plate, pour gravy and arrange kofta over gravy and serve immediately with paratha or nan.